The Gold Coast has its name for a reason. Located just north of Streeterville, with a vibe that’s a little more subdued, the neighborhood is known for its luxury housing and high-end stores. 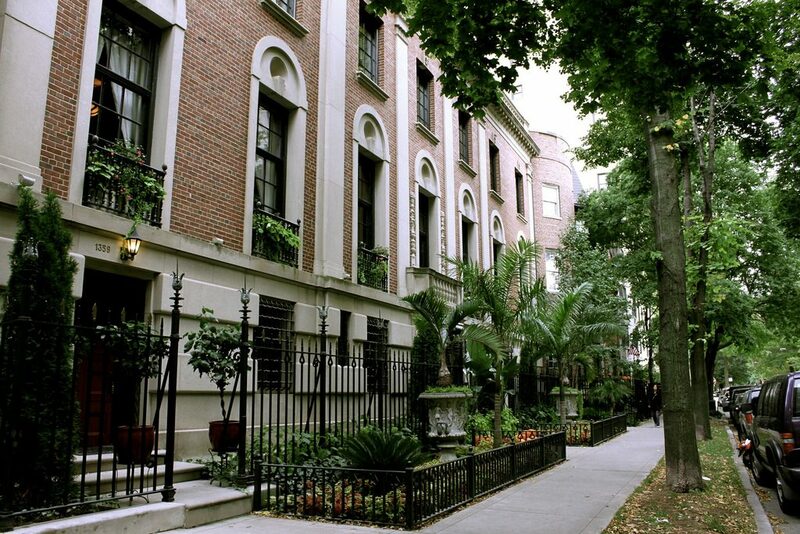 Historic brownstone homes are side-by-side with more recent high-rises on shady, impeccably landscaped streets, while designer retailers are mingled with one-of-a-kind boutiques. Amenities abound, along with restaurants, bars and cafes, and it’s easy to access any other place in the city when you’re looking for a different kind of atmosphere. As your Gold Coast movers, we’ll be sure you’re settled in the neighborhood on time and with no hassle. Of the 66,000 people or so who live in the Gold Coast, females outnumber males by about 6,000. Many people, though not all, live on their own. Some families live here, and residents’ median age is 37. Most adults have at least a bachelor’s degree. The average yearly income for a Gold Coast household is well above $100k. The Gold Coast, as it stands now, started growing shortly after the Chicago Fire of 1871. Over the years that followed, especially after Lake Shore Drive opened in 1875, several prominent Chicagoans of the time used the land to build both their own homes and further businesses. The area quickly developed to the capacity it maintains today. Now you’ve got the gist, here are some highlights—and basics—we found to help you start your best Gold Coast life. Lakefront Trail: Walking, biking, jogging through beach and park space. Lake Shore Park: 6 acres of facilities, just up in Streeterville. Washington Square Park: Fountain, flowerbeds and paths. Newberry Library: Free to the public, lectures and events. Division Street Farmers Market: Weekends, May through October. 3 Arts Club Cafe: Restoration Hardware in historic space, with restaurant. Richard E. Driehaus Museum: Interior decoration collections. Astor Street District: Original 19th century mansions. Pizza: Lou Malnati’s. Local-based chain. Delivers. Thai: Garlic Chili Thai Cuisine. Fresh ingredients. Delivers. Classic Italian: Mario’s Table. Cozy neighborhood space. Hip Italian: Eduardo’s Enoteca. Unique small plates, pizzas, wine and cocktails. Asian: Jellyfish. A full sensory experience. Sushi: RA Sushi Bar & Japanese Restaurant. Creative menu and happy hour specials. Tacos: Velvet Taco. Straight out of Texas: all kinds of flavors. Steak: Gibson’s Steakhouse and Bar. Quiet, classy vibe. Shares kitchen with Hugo’s. Seafood: Hugo’s Frog Bar and Fish House. Jazzy and upbeat. Shares kitchen with Gibson’s. Day-to-Evening: Tavern on Rush. Full menu by day, lively lounge at night. Late Night: Five Faces. Sandwiches, burritos and more. Cash only. Cocktails: Sparrow. Cuban inspired. Intimate lounge setting. Music: Zebra Lounge. Upscale piano bar. High-End: Pump Room. Go to see and be seen. Casual: Hopsmith Tavern. Drink specials and bar food. Dancing: Original Mother’s. Theme nights and shows. Low Key: Mother’s Too. Basement venue, live acoustic music. After Hours: Hangge Uppe. Two (sticky) floors, open until 5am. Quiet: 3rd Coast Cafe & Wine Bar. Full food and coffee menu. Treasure Island Foods: “European style” local chain. Potash Markets: Food upstairs, hardware store downstairs. Le Pain Quotidien: Also serves food, baked goods, alcohol. Argo Tea Cafe: For a break from designer shopping. Dollop Coffee Co.: Sandwiches and baked goods. Lake Shore Park: Dog friendly areas. FFC Gold Coast: Equipment, classes, pool, spa and deck. Equinox Gold Coast: Classes, pool and spa. Exhale Chicago – Gold Coast: Specialty classes and spa services. This has been a tiny sampling of the great things you’ll experience at your new Gold Coast home. As a seasoned Gold Coast moving company, we’ve learned all about the staples and cool places in the area. We’re happy to share more! As you’re planning your big move, cross one major thing off your to-do list, and book Gold Coast movers who’ll a take load of stress off your mind. Call us at New City Moving, and we’ll help you move safely, smoothly, and on-schedule, so you can settle right in and start living your greatest Gold Coast life.